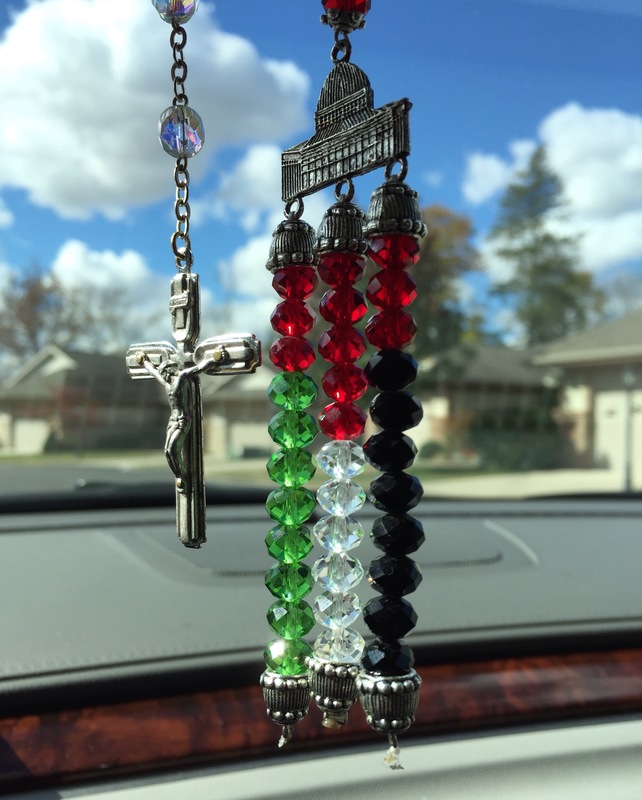 hangs the gift that I bought in Jerusalem and gave to my mother, which she called her “fancy” rosary, and which I gave back to myself when she died. Alongside it is the Jerusalem key chain that two teachers from Nablus gave me last Friday evening. Yes, that is the Palestinian flag and the Islamic Dome of the Rock. 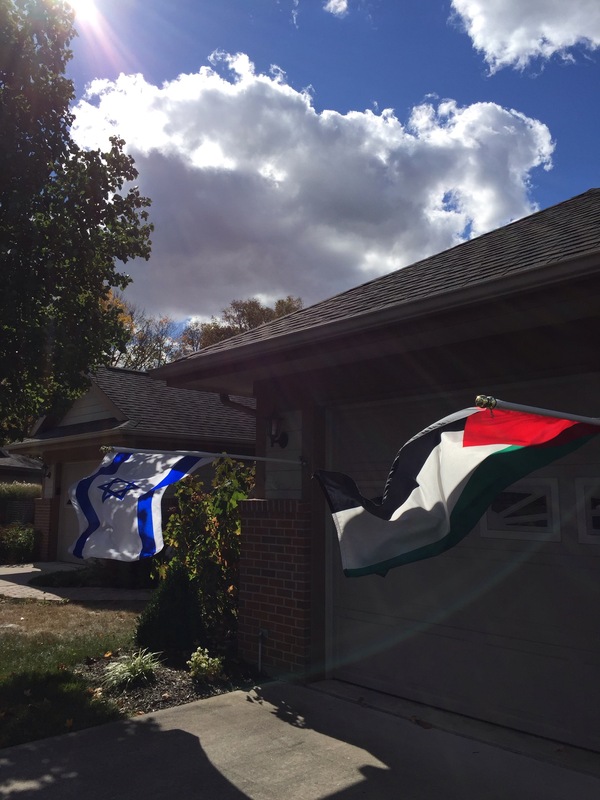 On either side of my garage doors hang two flags: Palestinian and Israeli. 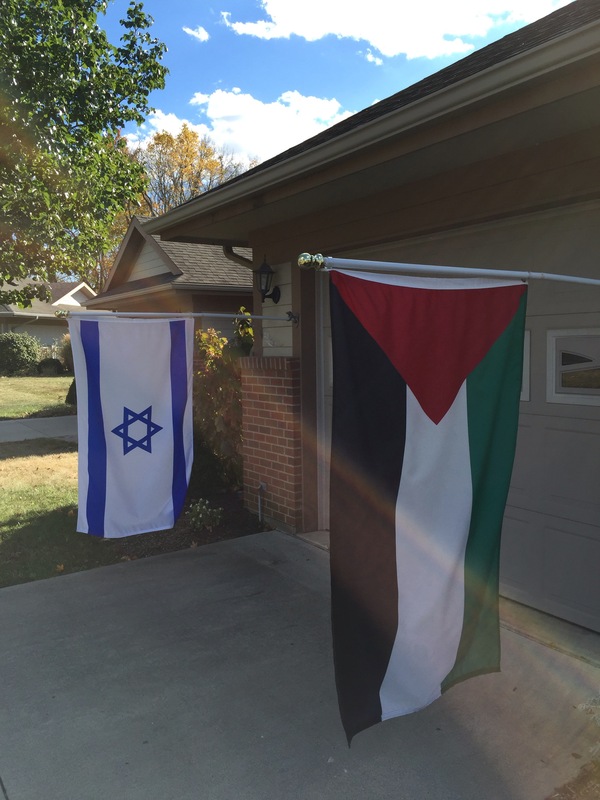 They fly with heads bowed, both in grief over the daily violence in their land that we call holy. This afternoon they are in agitation. May they soon fly in calm and security, in long lasting reconciliation and justice.